In the Logs folder in your project, you have the files that were downloaded from Salesforce by you (you can do this in such a way: the Main Menu ⇒ View ⇒ Logs Window ⇒ Download Logs). Just open the necessary log file in the Debug mode in the IDE and look through all the important information. 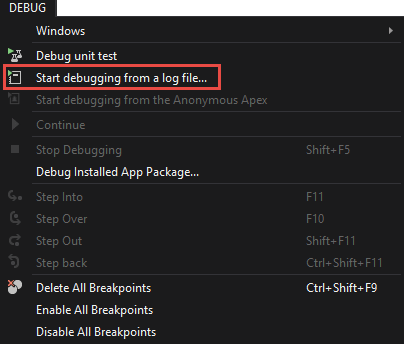 To do this, go to the Main Menu: Debug ⇒ Start debugging from a log file. This option gives you almost unlimited possibilities: you are able to run the Debugger even if you have a Production org, having only the logs and the current version of the code. NB: The log file should have the minimal required log level. 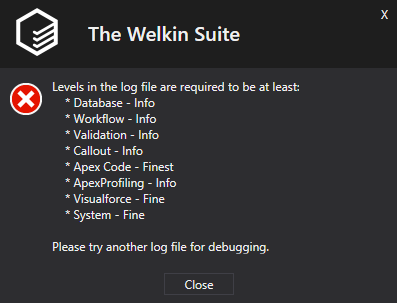 If the log level of your log file is insufficient, you will see the error message with the list of the required debug log levels.